Фото "The Old Cork Tree"
I liked this old tree and its naked branches very very much. This is one of the last photos I took from it. Few weeks later they cut it. The real end arrived to the dead old tree ! Beauty! I think- the best variant! another of your fine IR pictures. Really nice, looks like the end of the world. excellent landscape with great mood, Congratulation Aguinaldo! excellent framing and very very beautiful and dramatic mood!! great shot, Aguinaldo! excellent landscape ! Very nice shot ! 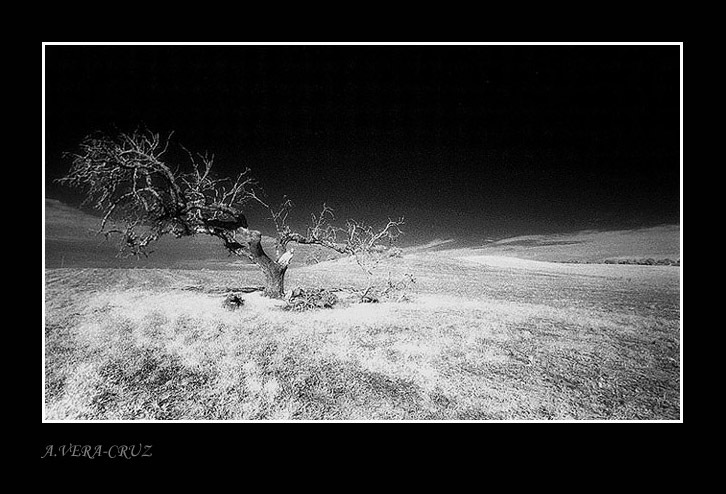 superb shot, lovely mood created by the infrared film.